The week before last we were able to enjoy a family vacation away just the five of us. We haven’t had a family vacation in a couple years (just us…away from home) and were counting down the days until we left literally on the white board in the kitchen. Matt was able to schedule time off from the fire department and the ambulance service and we were on our way to the beach and then Disney World. I wish I would have taken some pictures of all the different fire stations we saw along the way from Atlanta to Panama City. It’s amazing how many we saw and how different each of them looked. 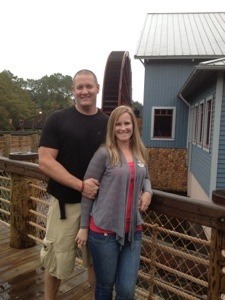 We did stop at a couple at Disney World I’ll show you in a moment. We had a wonderful time full of fun, food and relaxation together. 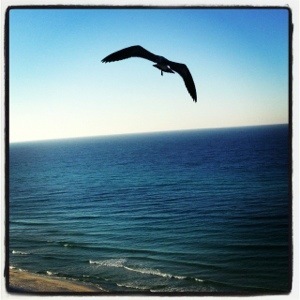 The weather in Panama City Beach was perfect. 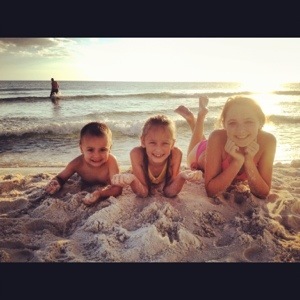 Warm enough to lay and play on the beach and pools all day and cool nights to remind us it was fall. 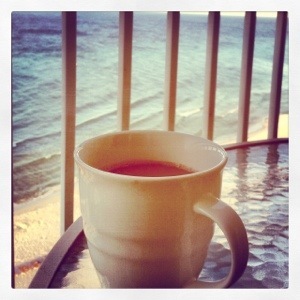 The hotel was so nice and one of my favorite parts was sitting on the balcony overlooking the ocean watching the stingrays with my morning coffee. The sun rose behind us so it wasn’t shining on the balcony until sunset which meant every night we could watch the sunset from our room as well. 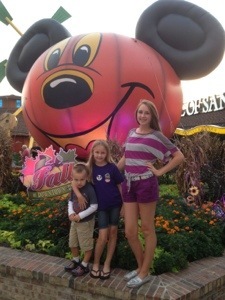 After a few days at the beach we headed to Orlando to Disney World. That same day was when the predictions for Hurricane Sandy were going to bring heavy rain and wind to Orlando for the two days we were going to be in the parks. I was upset but determined we would still enjoy our time there as best as we could. 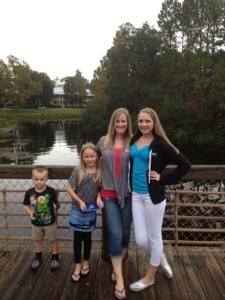 We stayed at the Port Orleans Riverside which I highly recommend to anyone staying at Disney. Our room was the perfect size with fun Disney decor. The resort had beautiful paths to the pools and main lobby and restaurants with trees covered in moss and bridges over the river that flows through the resort. We spent the first night checking out the resort and swimming and then had dinner with Cinderella. 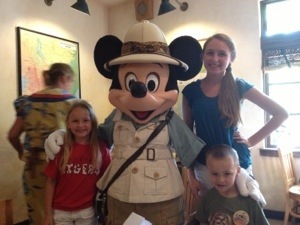 The second day was breakfast with Mickey at the Animal Kingdom and then Downtown Disney for dinner. 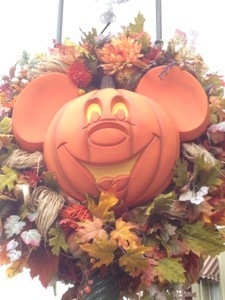 Everything was decorated for Fall and Halloween. 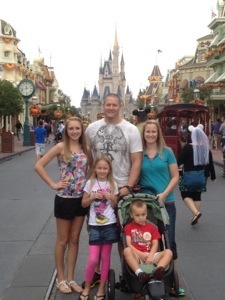 The last full day we were there was spent at the Magic Kingdom. 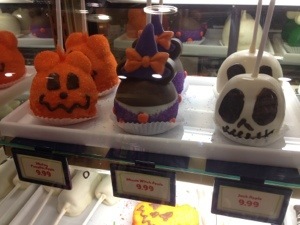 Again, completely decorated for Halloween. 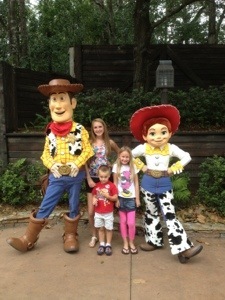 The kids had so much fun riding the rides, meeting all the Disney characters and eating tons of food (we got the Disney dining plan for free which I highly recommend as well because you don’t have to worry about spending money on food at every meal). 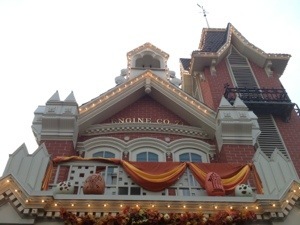 Inside the Magic Kingdom is Engine Co. 71. 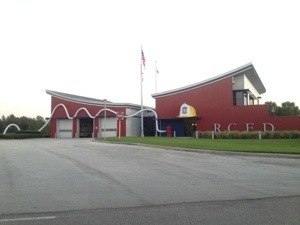 This is a fake fire station when you walk in the park on the left. There is memorabilia inside and I believe it used to be a store but now they use it for a Disney volunteer recruiting Center. 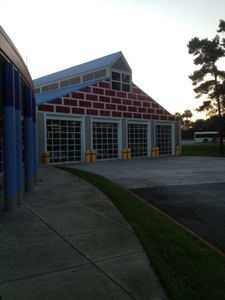 We also visited two fire stations on the Disney property. 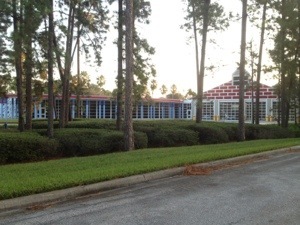 Reedy Creek Fire has four stations that “protect the magic”. It was the perfect vacation and the weather ended up cooperating for us. It only rained once when we were already in our room anyways and it was nice and breezy the rest of the time we were there. The lines weren’t bad either although there were plenty of people there but not as many as the summer months. 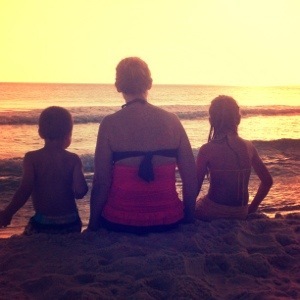 Fast forward one week…teenagers. Why do they have to learn the hard way? My 15 year old, Hope, seen above in all the fun Disney photos decided this past Friday afternoon to get on a 4 wheeler with a friend in the neighborhood. No supervision, no helmets, no good decisions. 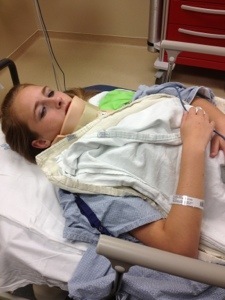 The 4 wheeler flipped and they fell off and it landed on her. So one week after spending the day with Mickey we were spending the evening in the ER wondering if she was broke. Catscans were done on the head, neck and back and after they came back clear they did the bottom half of her. Nothing was broke but it was only by the grace of God that it wasn’t worse than it was. Her entire right leg is hurt and in an immobilizer and apparently when she landed her back hit the curb so she has a huge hematoma on her back like nothing I’ve ever seen. Although she is in a lot of pain and needs help pretty much doing everything we thank God for protecting her. 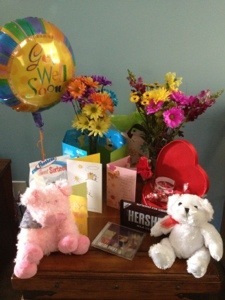 We are also thankful for family and friends and the prayers, calls, visits and get well gifts. Dear Hope! So grateful these bad decisions didn’t have permanent consequences! Get well soon girl, and we thank God that you are going to be just fine. This really touches me, and my prayers are there and lean on Him.